Personal Injury Attorney > Personal Injury > How Can Dog Breeds Affect Home Owner’s Insurance? Do Dog Breeds Affect Home Owner’s Insurance? Why is it that some dogs cost more on your home owner’s insurance? Why does it make a difference what kind of dog you own? At least 40% of American home owners own at least one dog. If your dog is listed as a “dangerous breed”, your Insurance may cost you more. Or, you may not be able to find insurance if you live in certain areas. It seems unfair, but let’s look at some facts. Dogs have bitten about 4.5 million people each year, U.S. insurance agents say. For one in five people, the bite is serious. The costs that insurers must pay for a claim is over $29,000, and can reach over $470 million a year. It is not surprising that insurance companies are pulling back on insurance for dog owners. 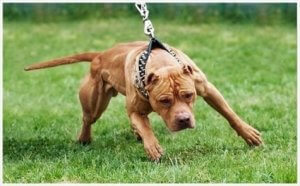 Some companies use a list of dangerous breeds as a guide. Some of the usual breeds on the list are: Pit Bull, Chow, Doberman German Shepherd, Rottweiler, Akita and Husky. Remember that you need renter’s or home owner’s insurance to cover you in a home, condo or apartment. You are liable for any damage your dog does, whether it is biting someone or causing damage to someone’s property. Even if the neighbor’s kid teases or hurts your dog first, if you are sued, you may end up in court. 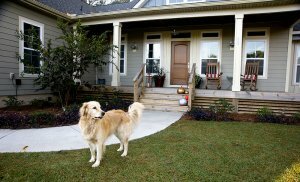 Be sure your home owner’s insurance company knows that you have a dog and follow their rules. You love your dog. He is a pitbull, but he has never hurt anyone.You know your dog, so what can you do about getting insurance? Some insurers will deny coverage because the dog is considered a dangerous breed, even if the dog has not hurt anyone. Shop around. You can talk with an agent about your dog. If you can show that your dog has been through obedience training, they may accept you as a client. Some insurers will allow “one dog bite”; they will defend you one time. After that, they will increase your rates or drop your home from coverage. State Farm is one of the larger insurance companies that does not refuse insurance because of the dog breed. Perhaps your dog did bite someone in the past. If children get too rough playing with a dog, it can bite them. Even small dogs will bite if they feel threatened. Or, a dog may get into playing and knock someone over. It can happen quickly, but it may brand the dog as not to be trusted. Pet liability insurance is another answer. If your home owner’s insurance will not cover you, either because of the breed or a dog’s history, you may need to buy it. Your home owner’s association or your landlord may require you to have it. Compare policies, for prices vary with these companies. Even though you may not like the cost, it is better to pay for the coverage than to have to pay for medical costs due to a lawsuit later. An owner is responsible for any accidents the dog may cause, so it is necessary to go ahead and get the insurance that will protect you and your property. The best thing you can do, of course, is to get the proper training for your dog. A dog that is treated well and is trained well, will help you, as a home owner, in the long run . The Law Offices of L. Clayton Burgess, Louisiana personal injury attorney, has experience with dog bite claims. He can answer all of your questions, listen to the facts, and advise you of your rights. Contact us toll free at: (877) 234-7573 for an initial consultation, free of charge to you, regardless of whether you retain our services.